One of the best things you can do for anyone is to listen to them. By so doing, you are affirming them, confirming that they are alive and that they do exist. Think about it. Without a voice, you do not leave a mark or a dent. Our voices are the ripples that we make in the pond of humanity. And with no one listening, these ripples go unseen. Yet, we do not listen to others. Taking things a step further, we do not know how to listen. There is a lot of vitriol, angst and pain around the world today and I believe that what we need are more ears. It begins by asking the right questions and then doing more than just hearing an answer. You see, listening is more than just hearing what someone has to say. Listening is active while hearing is passive. 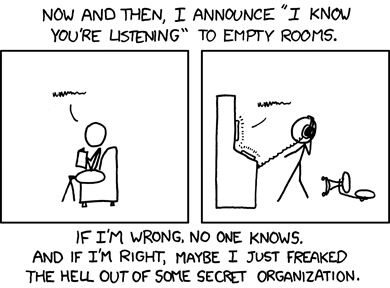 To hear what a person says, all you have to do is receive the sound waves out of their mouth. Listening on the other hand, involves dropping all of your preconceived notions and ideas, and engaging a person with the goal of understanding them. Dropping our own perceptions, notions and ideas is the hardest part. Every time we talk to people, their voice is distorted by the soundtrack we have playing in our heads. To listen we have to turn off our music or take off our headphones and then we can hear the speaker’s song. When we do this, then they feel like they exist and are understood.This is most important when the person doing the talking is underrepresented in society. These are the people whose voices are the faintest. To continue with the analogy of music, their songs are almost inaudible and we need to turn up the volume. But the underrepresented are not the only ones that should be listened to. Everyone should be listened to. Questions like; “How do you feel about……. ?” or “Why did you do what you did…..” are very powerful. They give the person a chance to respond and be heard. We don’t have to agree with them, consensus can almost never be reached, but compromise can be achieved and that is more than enough. For example, I was in favor of the Health Care Bill that President Barack Obama’s administration passed. To me it was a no brainer that we needed a way to stop “pre-existing conditions” from being a part of Health Care conditions. But then I heard a parent of one of my students talk about the issue. He was losing a lot of work because of the new law and his family was being negatively impacted. I listened to him, not so I could formulate a response but to understand his story. He didn’t exactly cause me to change my stance but he did force me to re-examine how I saw things. Now when I meet someone who is anti Obamacare, I don’t automatically get defensive. I just wonder where they are coming from because of my new understanding. I probably won’t ever reach a consensus with them but I can definitely strike a compromise. The current protests in Tunisia, Egypt, etc., present a wonderful opportunity for those of us in the United States. The people there want to be free from tyranny and we can definitely relate to that. But we haven’t always done that. According to Nicholas Kristoff in this article, American Foreign Policy has always seemed to revolve around our own selfish interests. We’ve made alliances with dictators in exchange for stability in the Middle East. This has caused us to appear to be anti democracy in the region. It was also responsible for the current Administration’s hesitancy to jump into the fray during the protest in Egypt. However, we can learn from this experience by listening to the people. Some of the Egyptian demonstrators kept saying that they wanted “freedom like there was in America”. This is great news for American interests and I think the Egyptians will work with us as long as we allow them to direct their country’s future. People will always tell you what they want and sometimes what they need if you’re listening. On January 9, 3.8 million Sudanese turned out to vote on a referendum. The issue at stake was the fate of the people to the South of the country. Much of the nation’s resources, with oil being king, is found in the South. In spite of this, the region has largely remained poor and underdeveloped as the government in the North diverted most of the benefits to their own ends. In 2003, this friction between the Northern based administration and the Southerners boiled over into war in Darfur. This war has been very controversial with much of the casualty unclear and Human Rights Groups calling it a genocide. It ended with a cease fire in 2010, about seven years after it had begun. 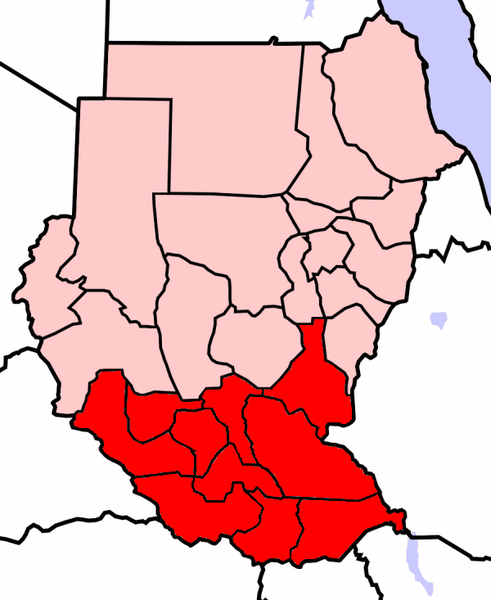 The aforementioned referendum was to determine whether Southern Sudan should secede from the rest of Sudan. According to the results, 99% of the voters were in favor of the South being its own country. Surprisingly, the Sudanese government accepted the results and Southern Sudan was born. However, the Global Post reports that this new nation is facing some health issues. Hopefully, the United Nations and the rest of the West can come to their aid. According to Webster’s dictionary, multitasking is the “performance of multiple tasks at one time.” I pride myself at being a master at multitasking but somewhere between being unable to eat without a book, and checking my email while on the phone, I realized I had a problem. For one, it is now practically impossible for me to focus on just one thing. I find my mind wandering while completing a task. For example, my television is on right now as I am writing this blog. I text and check email while I am at work, read while I listen to music and carry my computer everywhere if only to feel like I am doing more than one thing at once. My attention span is suffering for it and I now expect everything and everyone to grab me within the first few seconds or lose me. More importantly, I am slowly losing my ability to actively listen. Actually, that is a bit redundant as listening is by nature active. So what I meant to say is that I am losing the ability to listen. This is a huge challenge as listening is key to my self image. I have trained myself over the years to really hear, to look beyond just words and dig deeper for hidden treasures. Something just has to change. Therefore, I am making a resolution. Yes I realize that it is February 13 and that it is a bit late but I get to do what I want. And what I want is to make a resolution. My resolution is to focus on one thing at a time. I am going to intentionally avoid multitasking and choose quality over quantity. I will start with something simple like not reading while I eat……or having the television off while I blog or read. I hope that by so doing, I will get to fully enjoy each experience as unique. That I will devote all of my energy to one thing and be great as opposed to being average at a few things.